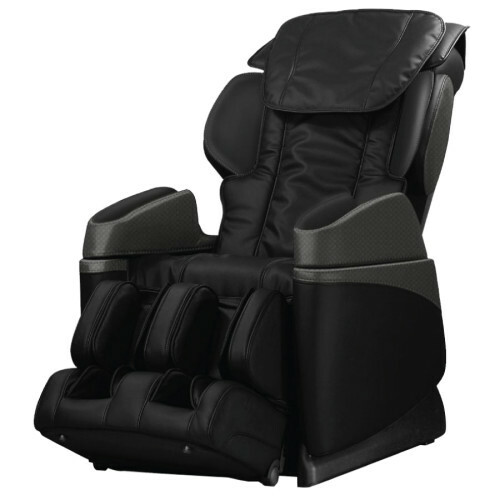 New Armrest Design - Adjusts as you recline up to approx 4"
The newest industrial design which Osaki OS-3700B adapts makes the armrest move backwards and forwards up to approximately 4 inches for better position of arm massage. The airbag massagers have been upgraded and engineered, reducing the number of airbags and valves but at the same time increasing the surface area coverage. Less power is consumed and the massage chair runs quieter due to the reduction in the number of air pumps and valves, thus allowing for a more tranquil massage experience. The Air Bags have been modified with industrial grade materials for durability, while allowing them to retain their softness and pliability characteristics to provide maximium comfort and consistency of operation. 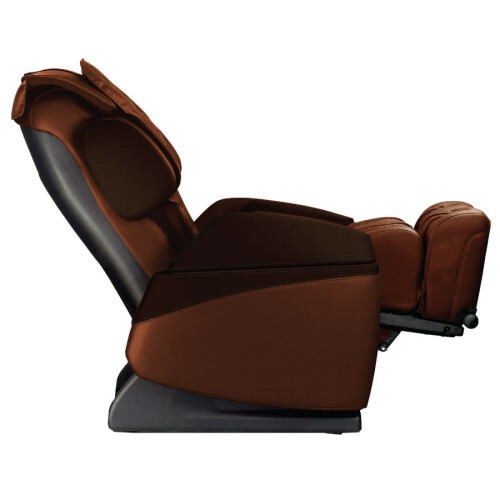 New industrial design makes the arm rest move with you, while reclining up to 3.9"
There are multiple air bags along the sides and back of the legs and feet which inflate to apply a compression massage. The action of a massage therapist applying pressure with their thumbs on the foot is simulated by inflating the air bags, firmly squezing the calves and pressing the foot down on the 2 pressure point nodes located along the bottom foot massager for an invigorating massage. On bottom of the foot massagers is single row of spinning reflexology rollers which provide a soothing kneading style application. As the rollers spin they stimulate acupuncture points, a much deeper foot massage can be experienced by additionally inflating the surrounding air bags. The outer and top part of the shoulders have not been forgotten, by inflating the airbags in the shoulder areas of the chair the shoulders pressed inwards and back pinning them to the backrest. This action stretches out the muscles in the shoulder area where a lot of tension is frequently built up and carried. There are 2 heating pads, one on each side in the lumbar area, the heat therapy is a great compliment to roller and airbag massage. The heating pad is not intended to be used for more than 30 minutes a day or the duration of a massage preset program. Osaki has taken one step further to enhance your massage experience by adding vibration massage. A hi frequency vibration massage plate has been added to the seat in order to massage the user's buttocks and upper leg area. The vibration is soothing and effective. 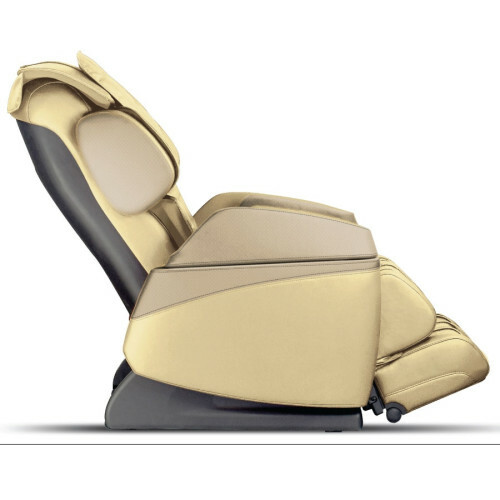 The intensity of the airbags can be controlled allowing for 5 levels with 5 different speeds for the massage heads. On the remote tap the "intensity" and/or "strength" button to make the adjustments. The Osaki OS-3700B remote allows the user to easily visualize the activated functions. The remote allows you to select the massage type, intensity, speed and location. In addition to the easy to use pre-programmed modes and settings which can be selected with the click of a button, the manual mode massage allows you to tailor all features ncludes kneading, tapping, shiatsu & rolling to you own preference. You can also select dual massage actions of kneading and tapping, or kneading and shiatsu. Massage speed control - The speed in which the massage heads move can be controlled up to 5 different speeds, ranging from slow to fast. Osaki garrantees that your qualified product will be replaced or repaired, without cost to you, should it be deemed defective because of faulty parts, workmanship or structural defects during the first THREE(3) years of ownership, excluding specific limitations*. Osaki Covers Parts, Labor, and Structural Framework for the 1st year of ownership, Parts and Structural Framework for the 2nd year, and the Structural Framework for the 3rd years. You may obtain service advice by contacting the Osaki Customer Service department toll-free at 1-888-848-2630.